Some companies live for the hustle and bustle of the holiday shopping season and then take a bit of a break once the new year begins. 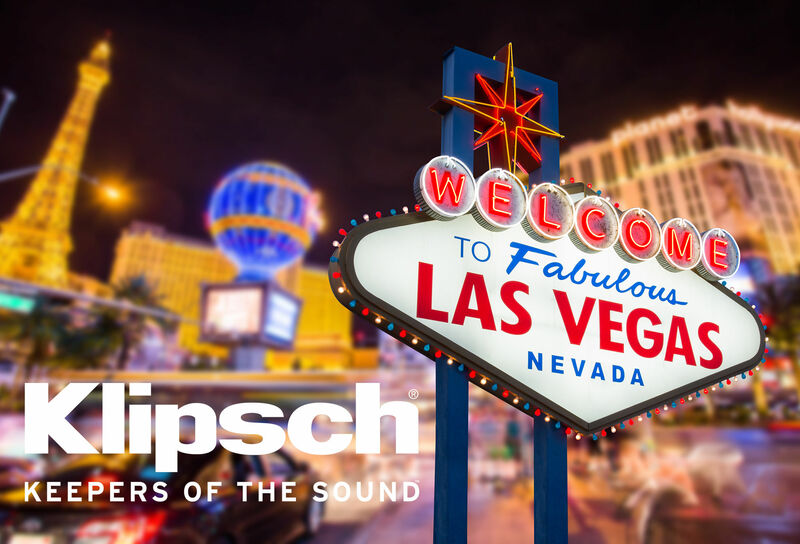 The Klipsch team are just as pumped for the first full week of January when our team will sojourn to Las Vegas for the annual Consumer Electronics Show (CES). Billed as the “place for all those who thrive on the business of consumer technologies,” close to 200,000 people will attend this three-day gathering. In 2018, Klipsch paid homage to its bedrock products, the Heritage speaker line, as well as launching two completely new passive speaker ranges. This year, when people stop by and see us, it will be evident that it’s easy to enjoy legendary Klipsch sound virtually anywhere and on your own terms. This year, Klipsch is putting the focus on a full complement of audio solutions to support how people live their lives with entertainment as the centerpiece. “In support of the launch of these new solutions, we will also launch a new marketing campaign called ‘True You’,” explains Standley. “This campaign focuses on you (the listener) and highlights solutions that are personalized and often built for a specific application.” Standley uses the examples of being able to enjoy your favorite music wirelessly for hours with extremely comfortable headphones or having a soundbar that’s not only easy to add to any TV but fits into your home decor with ease. Prepare to have your mind blown when you stop by Booth #13529. Klipsch will introduce a whole host of new wireless headphone products that all share our exceptionally comfortable patented oval ear tips while differentiating on form factors with varying size, weight, battery life, and materials. “We are very excited to continue to create opportunities for new customers to experience our brand as well as creating expanded solutions for our existing ones to listen to Klipsch virtually anywhere they want to be entertained,” Standley says.